Drs. 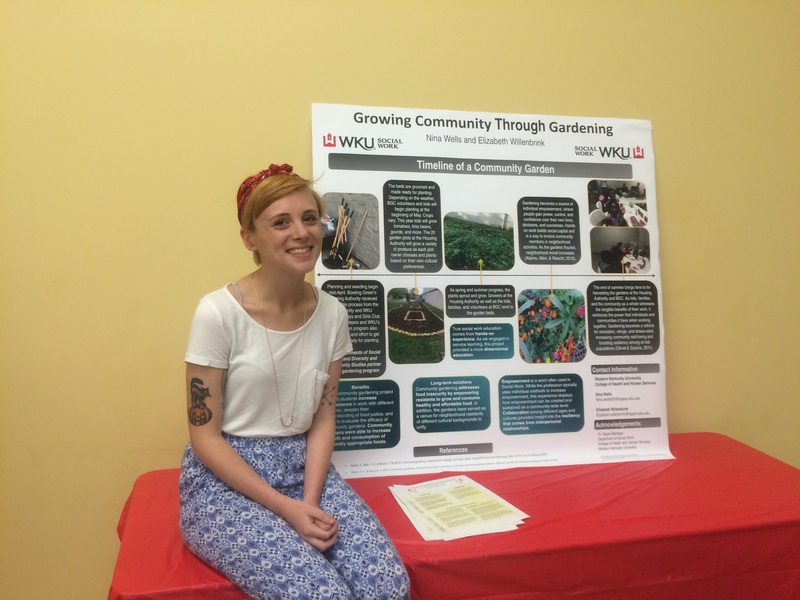 Molly Kerby (Diversity & Community Studies) and Gayle Mallinger (Social Work) received a grant from the Kentucky Governor’s Commonwealth Garden Initiative to revitalize, expand, and enhance the community garden at the Bowling Green Housing Authority. The purpose of the grant initiative is to encourage healthy eating and increase access to locally grown foods in Kentucky communities. The project will receive assistance for one year including seed/transplants and one‐on‐one consultation on the planning and implementation of best practices in local gardening and production of food. 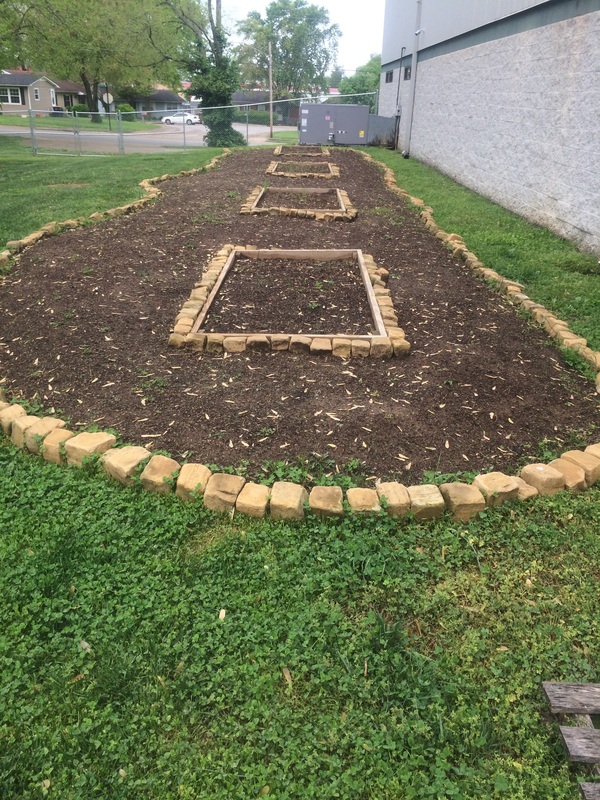 The garden will also be used for community education and demonstration in conjunction with a similar project at the Boys & Girls club funded by a WKU iRCAP grant during 2014-15. Elizabeth Willenbrink and Nina Wells presented at the WKU IMPACT showcase sponsored by The ALIVE Center. 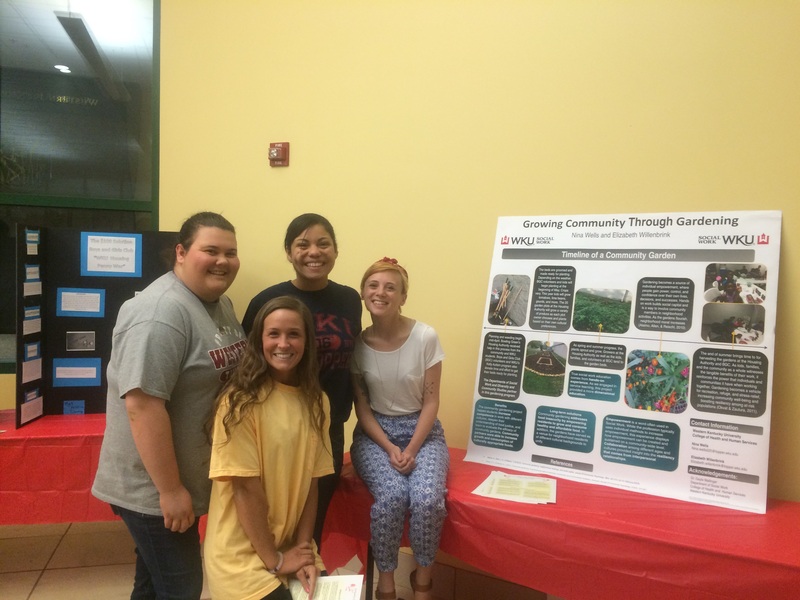 They discussed their work with the community garden project at the Boys and Girls Club of Bowling Green. Both are Independent Study students with Dr. Gayle Mallinger in the Department of Social Work. For more information, please contact Dr. Gayle Mallinger (gayle.mallinger@wku.edu). Hosted by Western Kentucky University’s Nonprofit Student Association, two local nonprofit organizations and one local business were recognized for their hard work and influence within the Bowling Green community.